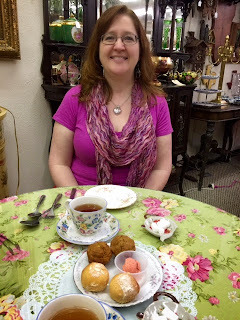 This past Tuesday I picked up my dear friend Michelle in Dallas and we had quite the tea adventure in Fort Worth. I’d read glowing reviews of Antique Outlet and Mitra’s Tearoom on Teamap. When we arrived, we were afraid the GPS had failed us — all we found was an old and mostly dead strip mall. Upon closer inspection, we noticed the “Antiques and Tea Room” sign. We ventured inside to find a fairly ordinary-looking antique shop. At the back, however, was a little Victorian oasis of dainty, chintz-bedecked tables surrounded by teacup and teapot displays. Mitra’s Tearoom doesn’t actually offer an afternoon tea, but we enjoyed a “combo” lunch that included soup, tea sandwiches, salad, and dessert. It was DELICIOUS. Our tastebuds rejoiced and our tummies groaned. We poked around the antiques afterwards, but soon realized a brisk walk was in order. 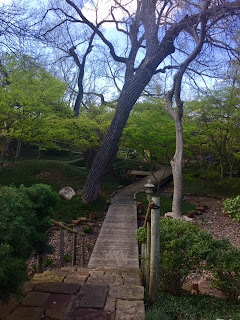 Hence we made our way to the Fort Worth Botanic Garden. See Michelle above with our tea and muffin appetizers (or would you say amuse-bouches?). On the right is a lovely wooden path through the Botanic Garden. We certainly met our goal of walking off the meal–the garden encompasses 110 acres–and the fact that it was 90 degrees outside made it even more challenging. But what a gorgeous place! I can’t wait to visit when the trees are in full leaf. On Friday I took Michelle to the airport (wah!) 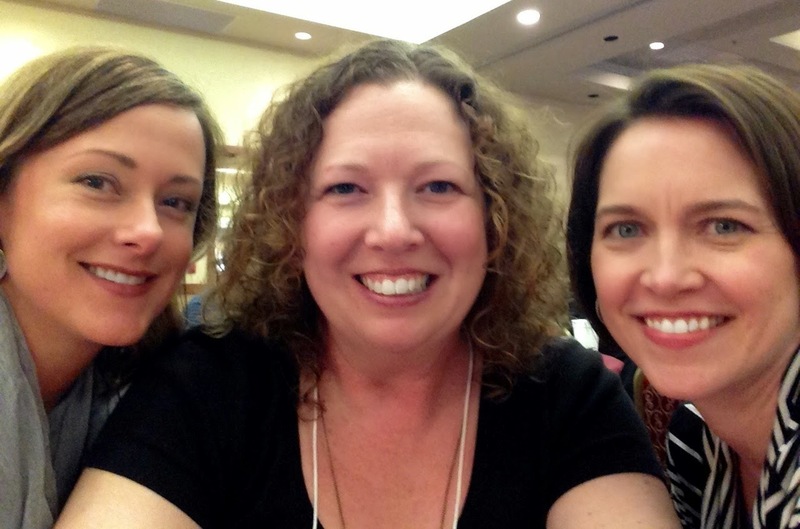 and immediately set out for Tulsa, as this past weekend was the “Ignite the Spark” conference for the Oklahoma region of the Society of Children’s Book Writers and Illustrators. Our regional advisors put together a splendid panel of agents and editors, and, as always, I enjoyed meeting up with old friends and new. (Above you see me with Valerie Lawson and my roomie/critique partner Brandi Barnett.) 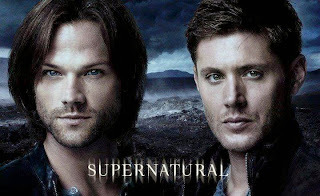 I left inspired and recharged, which is a good thing as this week I REALLY MUST GET SOME WRITING WORK DONE. Finally, I just wanted to point out that the BBC adaptation of Hilary Mantel’s Wolf Hall is finally coming to PBS! Above you see Mark Rylance as Thomas Cromwell, and I am delighted to learn that Damian Lewis plays Henry VIII. This six-part series actually covers both Wolf Hall and its sequel Bring Up the Bodies. The Guardian called it “sumptuous, intelligent, event television.” Go here for more review blurbs that seem to indicate an overwhelmingly positive critical reception of the mini-series. Huzzah! Wolf Hall premieres Sunday, April 5! This entry was posted in Reading, Traveling, Watching and tagged friends, tea, travel, tv on March 30, 2015 by SoniaG. 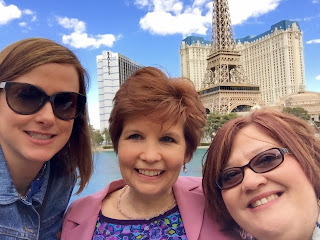 Last week I spent a few days in Las Vegas with dear friends. 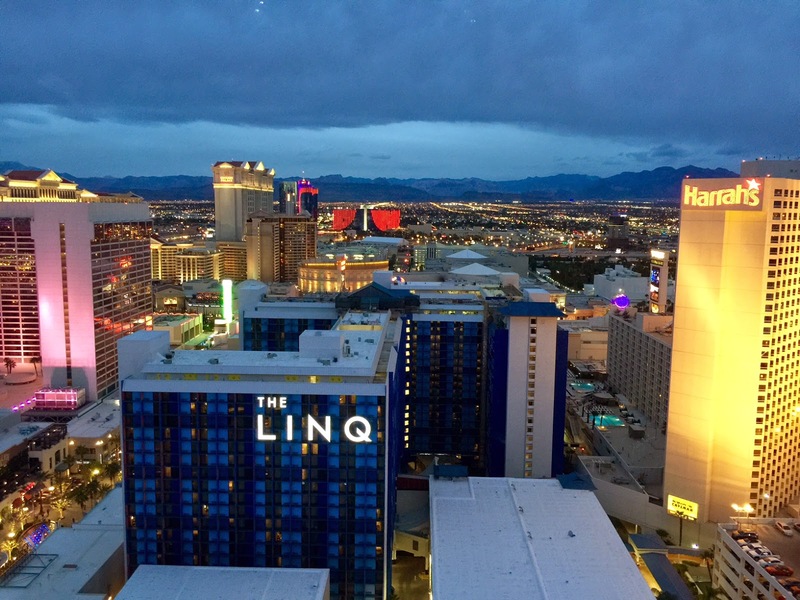 We took a spin on the High Roller — which is even taller than the London Eye — to get a bird’s eye view of Vegas at sunset. We enjoyed afternoon tea at the Mandarin Oriental and explored the Strip. We soaked in the sun at Rio’s Voodoo Beach. 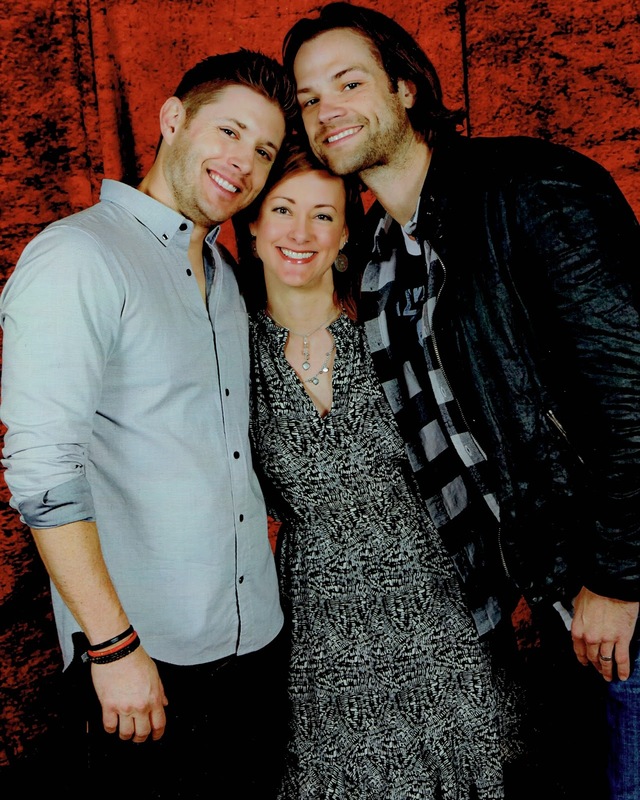 And we fangirled at the Supernatural con! The con was EPIC. But the best part of all was hanging out with friends I’ve known and loved since childhood. 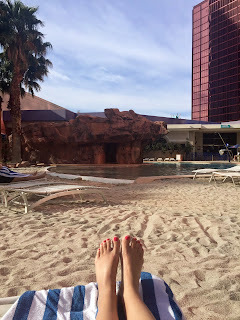 This entry was posted in Traveling and tagged cons, friday favorites, friends, SPN, Vegas on March 20, 2015 by SoniaG.